as a production designer. 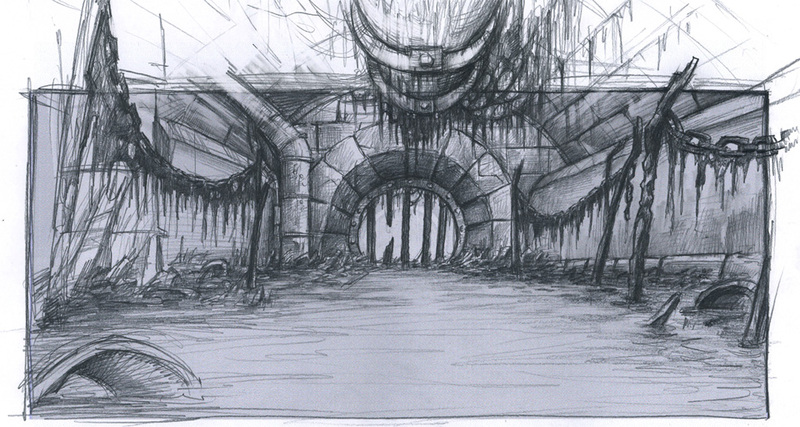 My responsibilities included set design, virtual set construction, light and mood development. I was managing the team and supervising the departments involved. It was Germany’s first fully CG animated feature film. The production was quite the adventure for me, all things considered. Boo and Zino are the stars of their own animated TV show in the fabulous world of Gaya. try to get back to their own world, fighting off hungry rats, massive robots and evil humans. 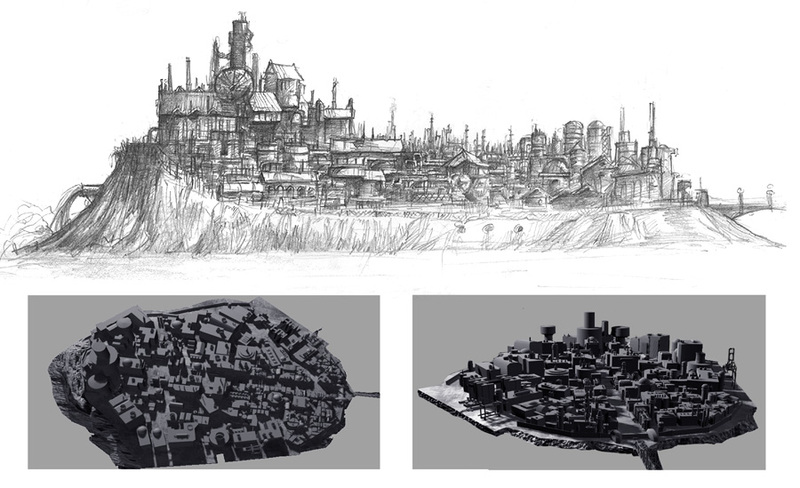 We were tasked with designing a dark and realistic “human world” which would contrast with the fantastic world of Gaya. 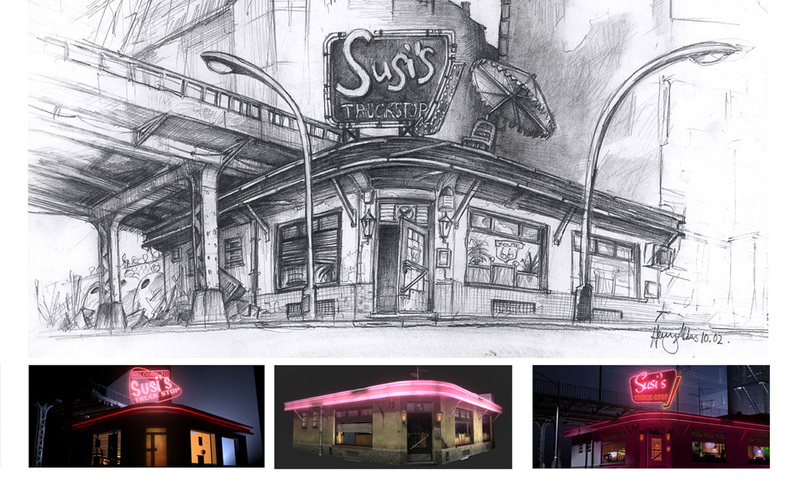 the diner “Susi’s Truckstop”, various shops, an abandoned industry complex, a retro-futuristic laboratory and many more.